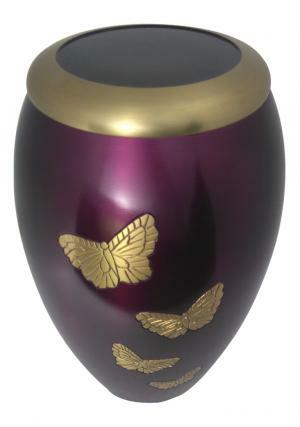 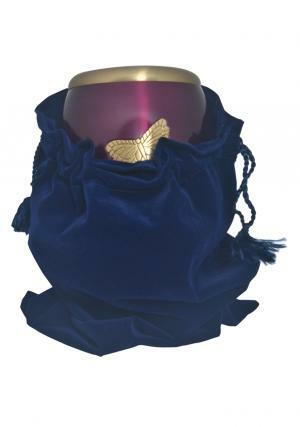 Golden Butterflies Purple Adult Urn for funeral ashes is made of solid brass with the artwork of skilled urn decorators. 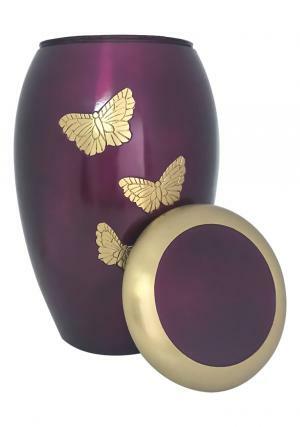 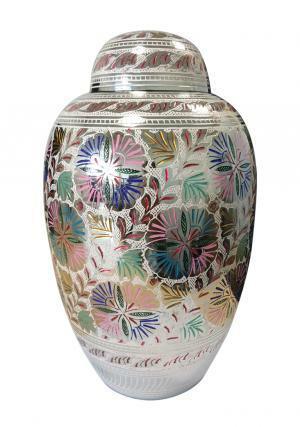 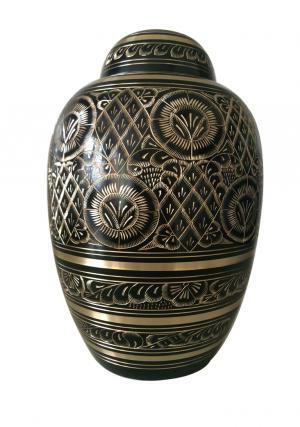 The big adult urn is enamelled with rich purple with sand casting to the surface of the urn for a smooth finish with flat surface closing lid on top. 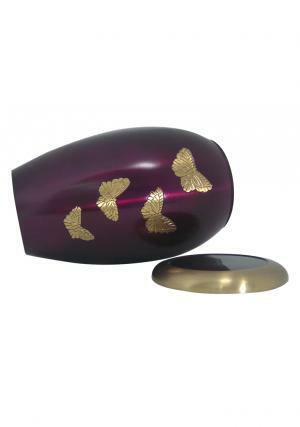 The lid is designed in brushed gold and purple enamel and encryptions of butterflies on the urn. 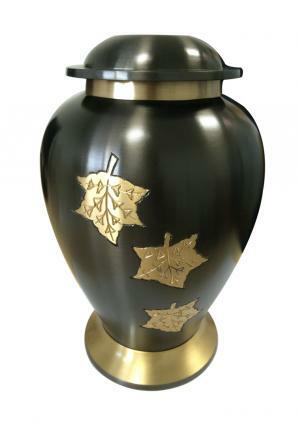 The lid has screw threading that helps to secure ashes of large adult urn with ashes of the loved one. 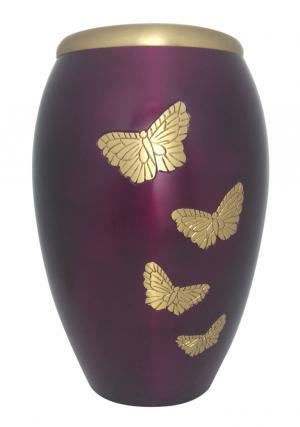 Golden Flying Butterflies Purple Adult urn has dimensions as 9.45 inch height, 6.40 width and weighs 2 kg which carries 200 cubic inch of human adult ashes approximately.